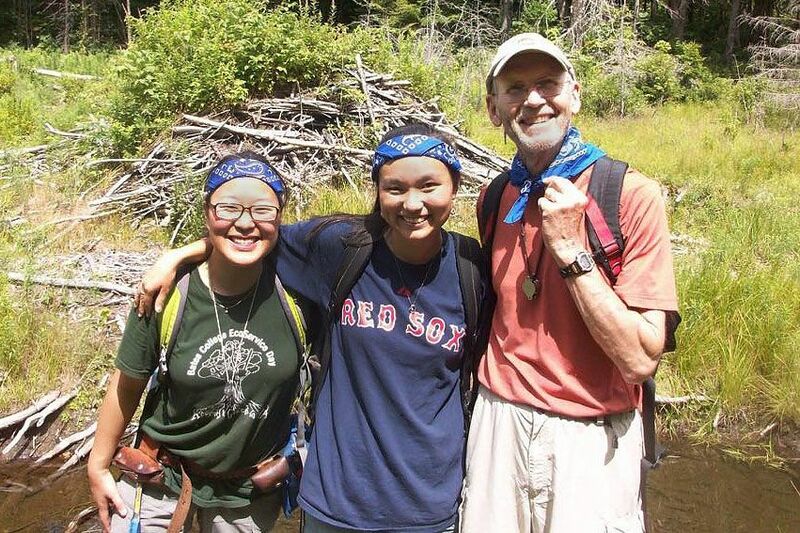 Professor Emeritus of Geology John Creasy, whose appointment to the Bates faculty in 1975 ushered in the thriving modern era for geology studies at Bates, died June 21. He was 71 years old. Creasy earned a B.S. with high distinction in geology from Colorado State University in 1967 and completed a Ph.D. at Harvard University in 1974. 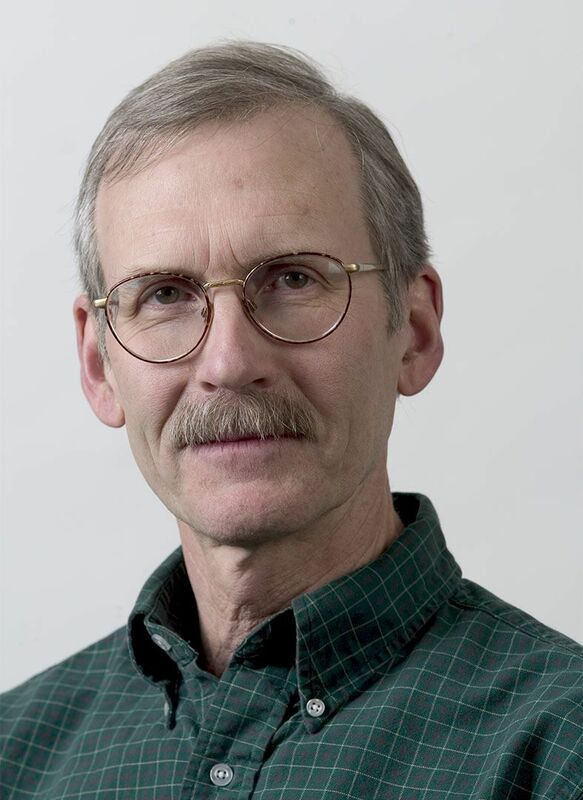 He taught briefly at Middlebury College before joining the Bates faculty. He retired in 2014. Creasy’s arrival at Bates coincided with seismic shifts both at the college and in the discipline of geology. At Bates, he was part of a major expansion of the faculty and an invigoration of the curriculum under President Hedley Reynolds. At the same time, Creasy’s coming of age as a geologist coincided with the field’s embrace of the revolutionary theory of plate tectonics, the idea that the earth’s crust is made of massive plates that can move around. Against that backdrop, Creasy used the resources at hand, including Bates’ relatively new Short Term option and the senior thesis program, to expand and deepen the geology major into today’s highly rigorous program, one emphasizing extensive fieldwork (a tradition fostered by his predecessor, Roy Farnsworth), intensive lab work, and a required two-semester thesis. A celebration of John’s life will be from 5 to 7 p.m. Friday, June 30. For directions, email rbitherbroene@yahoo.com. 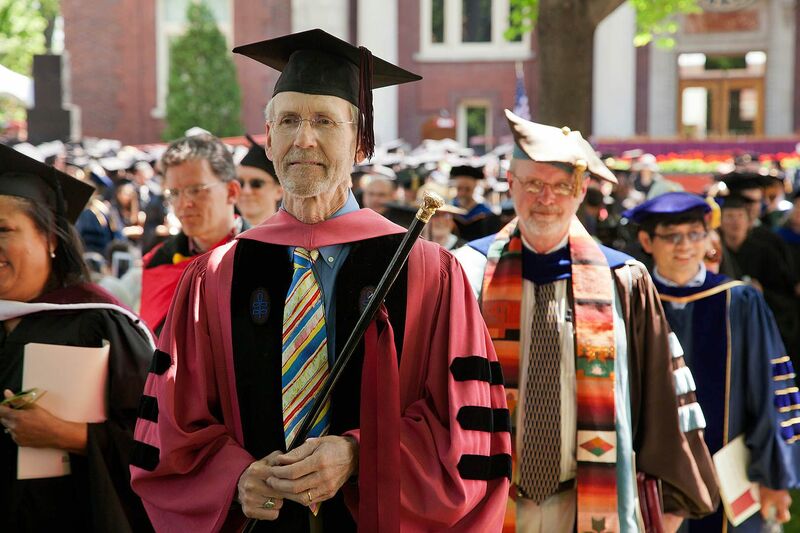 Gifts in memory of John Creasy may be made to the Bouley Fund for Geology, Office of College Advancement, Bates College, 2 Andrews Road, Lewiston ME 04240 or online. Please include gift designation in the comment field. David Bailey ’81, professor of geosciences and chair of the department at Hamilton College, was one of Creasy’s early students, and he recalls how the 1973 oil crisis also contributed to making geology “an up-and-coming field of study.” The hiring of Creasy and another young geologist, Patricia Cashman (who would go on to a long career at the University of Nevada in Reno), added to the sense that suddenly, geology at Bates was hip. For many geology students, the excitement of that youth movement — and Creasy’s high expectations as a professor — was felt during excursions far from Bates that created, in some cases, lifelong bonds. Bailey, for example, was a first-year when he took what would become Creasy’s signature course, a five-week Short Term trek to map the geology of the U.S. Southwest. Bailey thought the course would be a lark. Then he got into the van for the trip West. By 1981, Bailey’s senior year, Creasy had ramped up the department’s thesis program. “My thesis defense at Bates was the hardest of my career,” he says. “John brought in a big-name Ph.D. as part of the examining committee, and they put me in my place. My master’s and Ph.D. defenses were love fests in comparison. Equally powerful was Creasy’s support of the junior faculty members in his department, and he helped them build teaching and research careers by giving them the freedom to follow their interests. That open-minded approach extends to the department’s hiring practices, says his colleague Professor of Geology Beverly Johnson. When Johnson, whose expertise is in biogeochemistry and paleoclimatology, was hired, Bates at the time was actually seeking a hydrogeologist. “But John had the openness to consider candidates like me with other abilities,” she says. 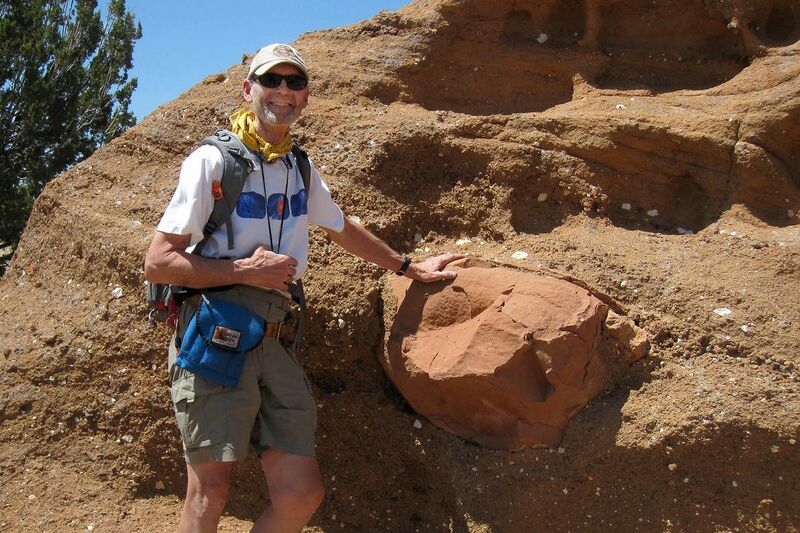 As a young graduate student in the 1980s, Professor of Geology Mike Retelle had a one-year appointment to the geology faculty. His youth and energy showed; as a teacher and researcher, “I was all over the map,” he recalls. As a researcher, Creasy’s work added to the knowledge of the geologic history of the White Mountains. As a doctoral student at Harvard under the legendary Marland Billings, he studied ancient volcano craters, known as calderas, within the White Mountains. Through field mapping and laboratory analyses, he identified two major periods of volcanic activity 100 to 200 million years ago, associated with the opening of the North Atlantic Ocean. In practice, Retelle recalls how Creasy “gently” taught him how to teach in the field, especially during Short Term. He recalls Creasy marching his group of Short Term students to the rim of a canyon, giving them a brief overview of the wide-open space before sending them down to map the features.